Power Big Meet started in Anderstorp in 1978 with 400 visitors and 80 cars. The next year we were in Skövde, and the show had already grown significantly. 1980 through 1982 Big Power Meet was held in Jönköping, and in 1983 in Norrköping. Big Power Meet was held at Johnnisberg in Västeråstil 1984 til 2016. Now one of the biggest car shows in the world! In 2017 Power Big Meet moved to Lidköping – a city located about 100 km northeast of Gothenburg – Swedens second biggest city. 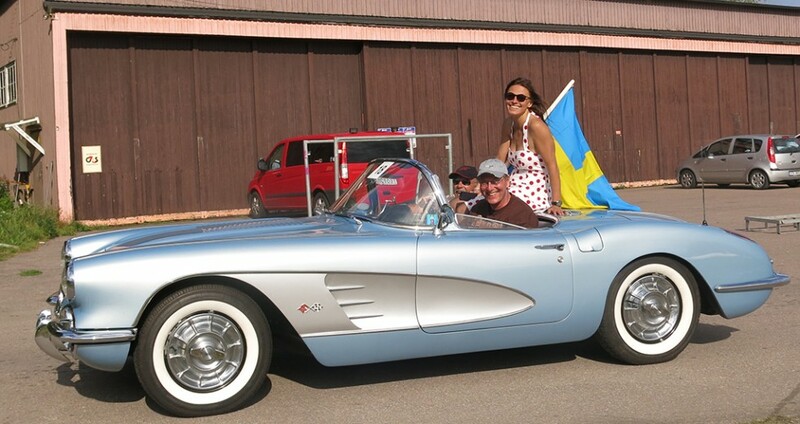 The US car hobby in is incredible in the Scandinavian Countries. 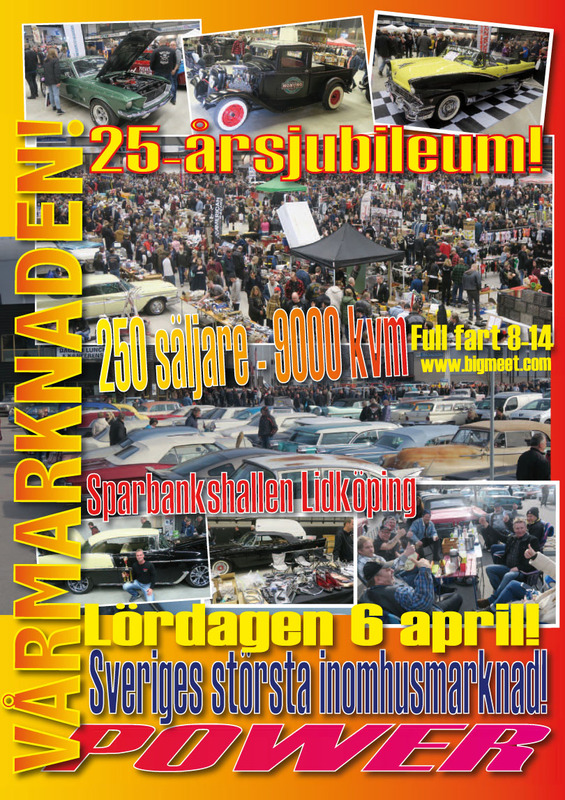 Even a small swap meet in Sweden can attract some 1000 US Cars! 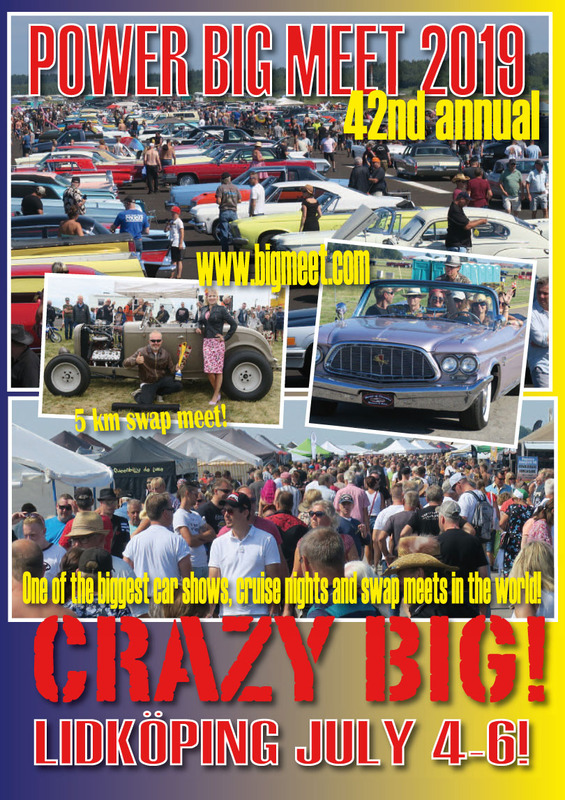 Smaller Power Meet sponsored car shows/swap meets can attract over 3000 American cars of all ages! Please come and join us at the 41st annual Power Big Meet in Lidköping July 5-7 2018. Make reservations early. The campground ON SITE will be open again in 2018!